Take a look at your expenses from the year and evaluate what you did well and how you achieved those results. It is important to look at your budget, how much you’ve saved, where you spent the most, as well as in what areas you could improve on. This first step is the most important to building a solid foundation for your financial plans for the coming year. Reaffirm your goals or establish new ones. Review and discuss financial topics with your family to establish your needs and budget. Whether you’re saving for college, buying a home, planning for retirement or accessing healthcare, the clearer your goals are, the more confident you will be to take the right financial steps in the new year. Review your established short and long-term objectives. Set a reasonable time to save in order to achieve your plans and make them happen. 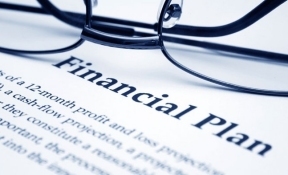 The necessary adjustments will prepare you for your financial planning for 2016. If you are the type of person that does not plan financially, this is the perfect time to start. What better way to start the New Year than reviewing your plans for the future and creating a financial base line with adequate insurance coverage? For example, maybe you got married or divorced or lost a spouse this past year, or became a parent. Or maybe you started to pay for your new home or you need healthcare for your family. It is important that your life plans are financially backed up with adequate financial protection. The New Year, for many people, means a new life and new beginnings. Now is a good time for you to grow from what you have already achieved financially and make bigger strides toward your family’s long-term goals while protecting them along the way. Once you have laid out your goals, your financial professional can work with you to determine how you can get there. To learn more, visit massmutual.com/Latino.